نصف‌النهار ۷۵ درجه غربی ۷۵مین نصف‌النهار غربی از گرینویچ است که از لحاظ زمانی 5ساعت و 0دقیقه با گرینویچ اختلاف زمانی دارد. The meridian 75° west of Greenwich is a line of longitude that extends from the North Pole across the Arctic Ocean, North America, the Atlantic Ocean, the Caribbean Sea, South America, the Pacific Ocean, the Southern Ocean, and Antarctica to the South Pole. 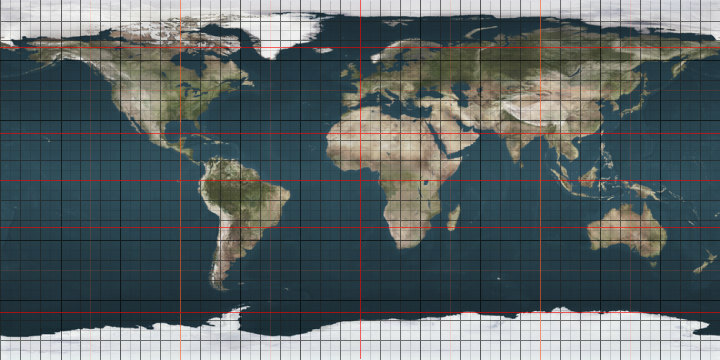 The mean solar time of this meridian is the base for the Eastern Time Zone (UTC-5 during standard time). Stations belonging to the US National Weather Service begin submitting weather reports when the mean solar time of this meridian is 8:00 am. Report collection ends 30–40 minutes later and the data is used to create the day's weather forecast. The 75th meridian west forms a great circle with the 105th meridian east. ^ Moore.Descriptive Meteorology. D. Appleton and Company., 1910, p. 217.